Right after we finish our meal at Kafe Wah Name, we decided to take a stroll to the restaurant which we plan to go for our dinner. The reason is because we were worry that it might be pack considering that it was still during Chinese New Year. Instead of just making our reservation, we also placed our dinner orders with them then. That way, they have time to prepare some of the food which takes time to cook. We head back to our hotel (which was about 4pm) and rest abit. Around 6:00pm, we walked there and was so glad that we made reservation earlier. The place was packed like crazy and it has 2 levels !!! Luckily we were served within 10-15 minutes. 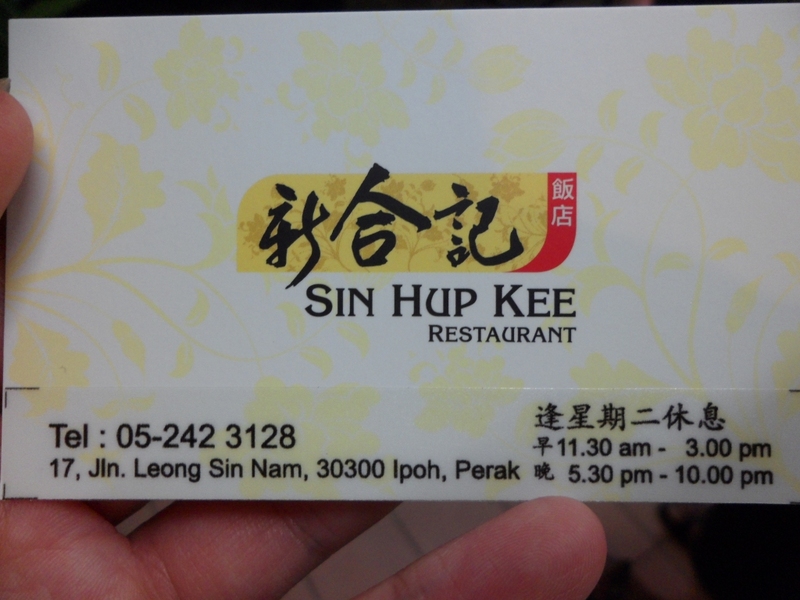 We tried their famous Spicy and sour Stew Pork Trotter. It was ok. I didn’t really like it as the fat skin was freaking me out. But, hub and mom claim that the fat was really nice as it melts in the mouth and doesn’t feel fatty at all. So, I will have to take their word for it. Love the Stir Fry Vegetable. 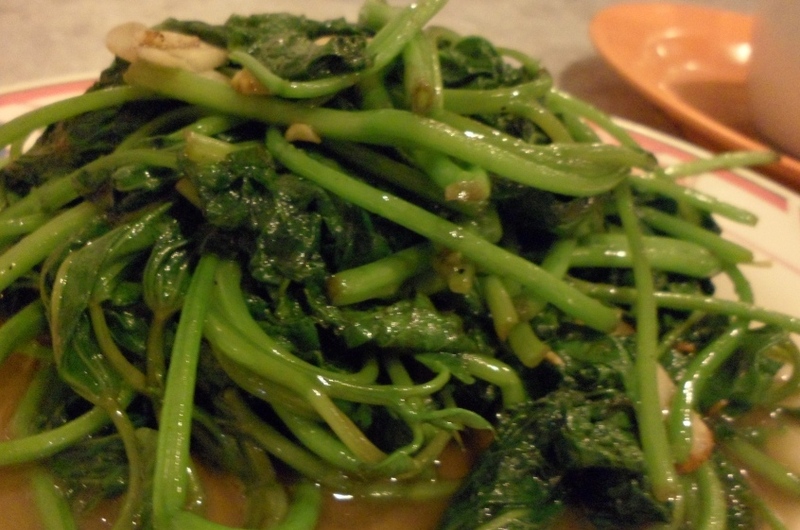 Both of the veges are pack with ‘wok-hei’ (wok-taste which is usually achievable with cooked very fast and very high heat). The Assam Mah Yau (Fish) was amazing. The assam-ness was just right. 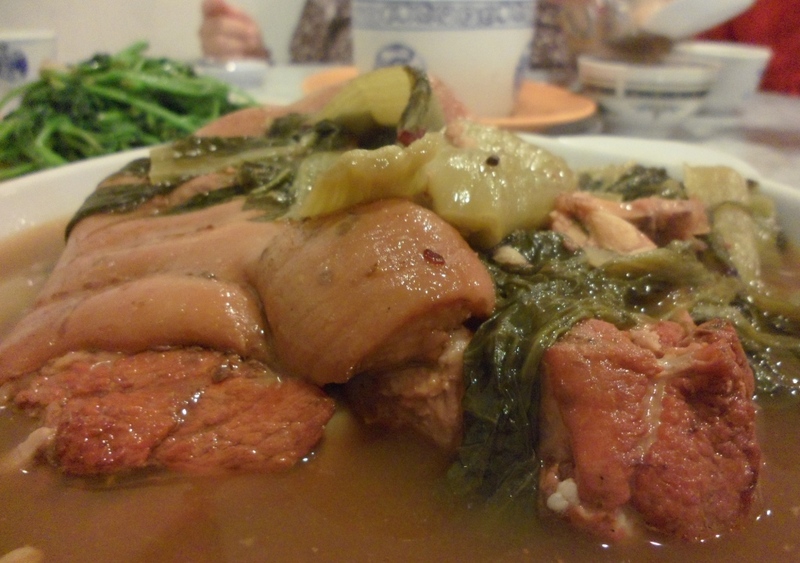 It was not too overpowering and manage to retain the fish’s original taste. Not to mention, the fish was really fresh !!! yummmz… it was seriously appetizing. The restaurant operating hours are surprising long. Perhaps it normal in Ipoh. 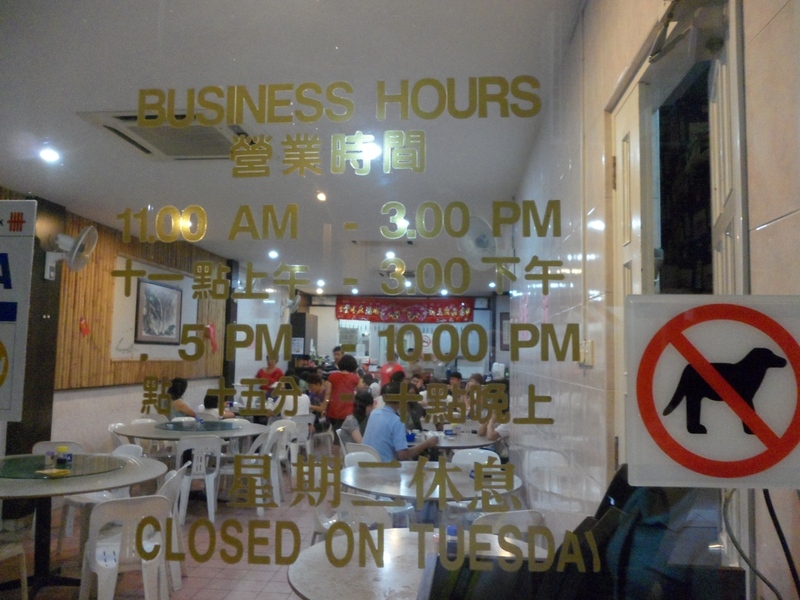 Most place in KL starts dinner around 6pm. I can’t imagine having dinner at 5pm !!! Can you? Hub and I was so full after the dinner. The portions they serve are really generous and price is really reasonable (I think it’s cheap !!! But, according to our friends, it’s normal ipoh price). When our friends insisted on making another stop to ‘tapau’ supper, we were horrified !!! hahahaa… but we went along.